Enter your own paradise and still be within minutes to all major amenities! This property has 3 different parcels each with their own building right and for a total of 128 acres! This home can also come fully furnished(ask for details). There is so much to list with this property so schedule a tour asap to see it all for yourself! Home features 3 beds/2 baths, updated kitchen with granite countertops, 3 new pellet stoves, metal roof, trex deck and vinyl, GORGEOUS views and abundance of privacy, large master bedroom with walk in closet, MASSIVE pole barn, 128 total acres of paradise that features riding trails, large pond, and so much more. 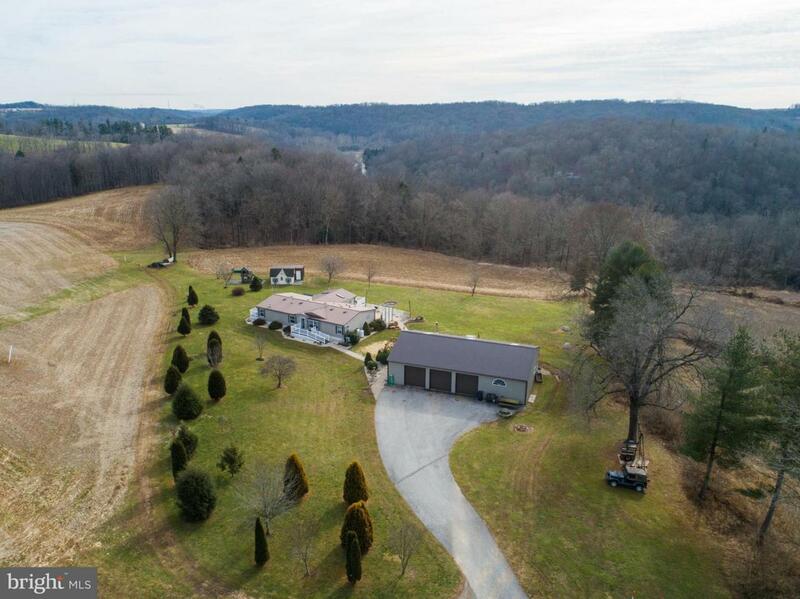 Feel free to bring your animals and make this property your dream come true!